Steph Curry was the star for the Golden State Warriors during Game 3 of the Western Conference Finals against the Houston Rockets. OAKLAND—Steph Curry exploded in the third quarter-scoring 17 of his game high 35 points on Sunday, May 20. The Golden State Warriors steamrolled the Houston Rockets 126-85 from Oracle Arena in Game 3 of the Western Conference Finals. The Warriors take a 2-1 series lead, while breaking yet another NBA Playoffs record. DUB Nation has won 16 consecutive home playoff games. Breaking the 1991-1992 Chicago Bulls mark. 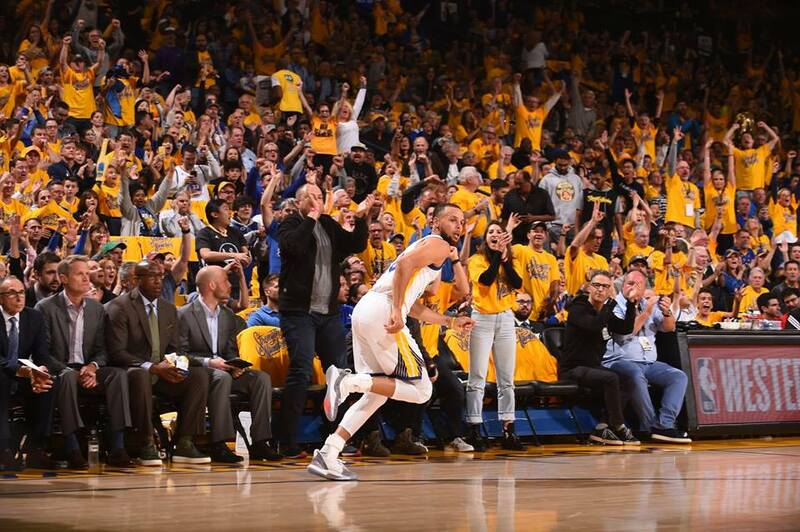 After Curry’s first two sub par games on both ends of the ball during the Western Conference Finals, he bounced back by attacking the basket, setting up his teammates even shimming for the crowd. Turns out his ankle is doing fine! Steph once again showed he is not a one trick pony with his deadly three-point shooting being his only asset. This is his first 30-plus outing in the 2018 NBA Playoffs so far. He ran through screens; made one off-balanced jaw dropping lay up after another. While his defense improved in part to effective switches, as well. The Rockets were a mess with the ball. Houston committed seven turnovers in the opening quarter alone, matching the seven Warriors’ first quarter miscues from Game 2. Eerily similar to Game 1, where Houston failed to move the ball from side to side, the Rockets expected James Harden and Chris Paul to save them. Several possessions eroded into Harden dribbling the rock while his supporting cast just STOOD around. It appeared that their feet were plastered to the court. This stagnent offense is not enough to dethrone the Champs-its impossible to out Golden State. Durant poured in 25 points, while Draymond Green filled up the stat sheet-10 points 17 rebounds and 6 assists. The night belonged to Curry. The signature move of the night occured in the third. He knocked down every shot-10 for 10 from the field-including dribbling the ball behind his back and nailing a three pointer in Harden’s face. Game 4 is Tuesday night from Oracle Arena.